October has been a truly whirlwind month. Hectic as more than half the month went in frenetic preparations for Diwali and then the culmination and still more hectic activity. Work has been especially heavy this month and balancing that and the work at home has at best been a struggle. But you know, we somehow find some inner reservoir of strength and manage to do it. I did take some time to rest after Diwali. Introspection has been a large part of my life in the past couple of months. I’ve realized as we age, our thoughts and opinions harden. The malleability to listen and adapt reduces, and we become more controlling often at the expense of imposing our thoughts and wishes on others. This is particularly difficult to manage when it comes to close loved ones or close friends. We feel that we are seeing them make mistakes or have a bad habit or behavior and desperately wish to correct that and often just being a presence who is supportive and indeed motivating is a big struggle. Because you wish to wrest control and set the wrong right. But restrain yourself, one must or it gets stifling for the other person. And this perspective came to my via my therapist. Yes, I reach out to counsellors from time to time when I struggle with issues and it is quite useful. It is also okay to admit to yourself that you are not as strong as you always project or tell yourself. There is no shame in admitting that you require a helping hand or a shoulder from time to time. Also admitting our own fallibility makes us more amenable to help and makes it less taxing for our own selves. Hence, I’ve realized that I can’t keep up with certain habits. I’ve made a list of the priorities (yes again!) with respect to time, and I am not harsh on myself when I miss some deadlines. Social media has fallen off the wagon now. I login once in a while. More importantly, I don’t feel an urge to login. I blog when I feel like and can. And I try my best to read as often as I can. I am grateful that I opened my mind to accepting these changes. Also the past 3 months, I’ve been addicted attached to some television series. They are very long spanning across so many Seasons. As a result, I found myself spending all my spare time catching up with the next episode, next season. My evening time after work was solely dedicated to them. One of the biggest casualties was my reading. And I missed it terribly. So starting October, I decided that I will only watch these serials for half the month and will solely keep the remaining half for reading. It has been working out well so far as I am reading my second book which I plan to finish by the weekend. I am grateful for seeking this balance. If you were following my fitness updates on twitter, you’d know that I completed my #100days challenge around Diwali. It feels swell even though it wasn’t unexpected, as I workout regularly. Brisk walked 5K in 47 minutes. With that I wind up #100Day #fitness. Hope you enjoyed the updates. Keep working out. Considering that I workout 5-6 days a week barring illnesses etc., this is a good 5-6 months of work. In these months, I have taken to jogging/running. It is tiring but gives a great cardio workout. Also, Coco is now regular with the 5K walks/runs and has shown reduction of weight and increase in stamina. I have been slipping on my strength training and I am looking to get back to it. Let’s see how I squeeze in the time. Overall, grateful that workouts will always be a part of my routine. The kids had their mid-term exams after Dasshera holidays. This time the younger son did all his studies himself. His results just came in and there is scope for improvement. We are going to work on this after taking his inputs. On the wonderful side, he can devour books now. He has just finished his first Harry Potter book. It makes me so happy because after me and his elder brother, he can now partake of this fantastic series. As he was complaining of focus issues, I introduced him to some meditation and mindfulness techniques like deep breathing. I do it with him. Let’s hope we can continue. Overall grateful that he is in a better frame of mind vis-à-vis learning and definitely kicked that he has really taken to reading now. I have been taking my supplements regularly, and I can see a marked improvement in my stamina and immunity. So much so that I don’t need afternoon naps any more. Extra work has been keeping me very busy, and once again I am very grateful for the wonderful work that I do. My blogs are the source of immense joy and love for me. This month, the husband helped move all the three blogs to https within the hour. I never fail to be awed how effortlessly he manages all the hosting for my blogs and any technical hiccups that I face. Always grateful to have in-house tech support. 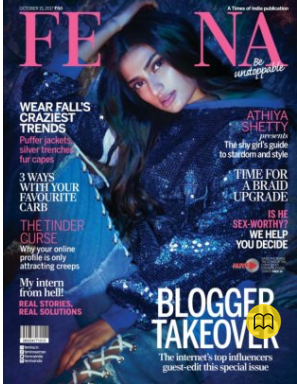 I was also kicked to figure in Femina’s Top 50 Bloggers Issue in October. It was really thrilling and joyful. Isn’t it great to be recognized for your work? When it comes to blogs, I follow the 3 Idiots philosophy: Don’t chase success, chase excellence. Success automatically follows. I am truly grateful for my family but I wish to make a special mention of my mil. One phone call and she is here. I can’t tell you what a big help and moral support she is for me. From helping with Diwali festivities, to cooking, chatting, gossiping, and in general, having my back, I truly thank my lucky stars for having her in my life. She carried a large bag full of plump, juicy custard apples for us from Hyderabad, mostly because I love them. It is these tiny gestures that we stop investing in or overlooks as relationships grow older. It is these small gestures that make us so grateful and loved. So, yes I feel very grateful for her. So how was your October? Do share what you are grateful for. Also join Gratitude Circle on Vidya’s blog. First, thanks so much for being part of the Gratitude Circle, Rachna. I always look forward to reading your post. Congratulations on the feature, richly deserved. Thrilling to hear you health is better. I have to get back on track with the fitness routine what with the falling sick and disrupted schedule. I love the wisdom throughout your post. Totally with you on the social media bleah! Have you noticed how we’re slowly yearning for “those” days when technology did not rule our lives? And leaning towards using it only to facilitate our routine? As a child of the 60s, never have I felt that more than I do now. Hugs! Great to see a child reading, no? That book Marley and me is one of my favorites. They did a fantastic job with the movie, too. Yes, wonderful to have an in-house God of tech. And my love and pranaam to your MIL. Truly a blessing. Wishing you a fantastic November-birthday month ahead. And girl, will you please get around to sharing your add on WhatsApp, please? Thanks. You are so right about social media. The bombardment of updates, the rants etc. are just too much to take. Spending a few minutes daily is all I like. Yep, the book is so good. I am a few pages away from its end and younger son reading sure feels very satisfying. Didn’t get the bit about WhatsApp. The share button is already there. Anything else the problem? Wish you a great November as well. Congrats for featuring in Femina’s Top 50 and you are nailing the work out in a super efficient manner. Agree that it’s fine to trip and get up to go on self-improvement and we do need the ME time or rest. I took five days off for Diwali, doing nothing and enjoying the moments. Lovely post as always, Rachna. Thanks Vishal. Glad that you could connect with it. Reading is always the first hobby that suffers when I too get engrossed in something else. So sweet of your MIL to carry fruits all the way from Hyderabad. Love your relationship with her. And your fitness journey is so inspiring. I am sure Coco must be enjoying all those walks. I need to start running too… Hopefully before it gets too hot here. ? Glad your October was good, Rachna. And I hope you have a great November. For me, October was filled with health issues in the family and we are still dealing with it. Other than that stress at work which refuses to die down and I can’t seem to find any good alternatives to change that. Hoping for a better November and M’s second birthday. So sorry to hear that your dad is still not completely fine. I really hope and pray that he gets to normal soon. I have been hearing about your work stress and I can imagine how draining that must be. Hang in there, Naba. Hopefully, things will look up soon. The little munchkin is turning 2! How time flies! I absolutely adore the updates and pics you share of her. So heartening to hear this Rachna 🙂 On all fronts, really, things to be holding good stead for you, and that’s a good thing. So kicked to hear about the reading. It’s very gratifying to unwind with a book, no? That’s one of my favourite books. Read it a few years ago and fell in love with it. There have been some changes on my front in October and a couple of those are unexpected. But waiting to see how it plays out in the coming months before I share it. Wishing you a lovely November filled with birthday joy, happiness and family love always. Thanks, Shailaja. Life is a bit ambiguous on a couple of fronts but well let’s see how things pan out. Oh yes, it is the best thing to unwind with a book. I love it that I feel kicked to wait to get back to my book. A good book does that I guess. G has quite a long way to go but we have charted out a method. Again trial and error. Hope the changes on your front are wonderful and enrich your life. Wish you a fantastic November as well. Great to know that you’re showing improvement with your stamina and health. The rigidities that come with age in our attitude sure needs a careful introspection. I am going to reflect on this bit too. It’s a pleasure to see Coco and read about him. And hey, you’re fortunate to have such a wonderful MIL! Thank you, Vinodini. Oh yes, we change and become so much more hardened in our views. Coco brings so much joy to our lives and really keeps me sane when I am down. Glad you enjoy his goofy tales. 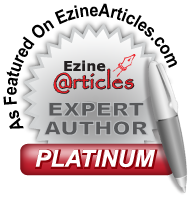 Congratulations on your blog feature, health and your fitness regimen Rachna. Hope November is even better. You are blessed to have such a lovely MIL. I lost mine long back. Elders make festivals special. Thanks, Alka. Sorry to hear about your loss. I lost my mum 16 years ago and the loss still rankles. Luckily, the mil has been really kind and nice. I guess, we win some and lose some. Congrats for being one in top 50 bloggers. It’s good that you are managing time well between social media, tv serials, reading and blogging. I wish you a happy November. Thank you, Mahati. Wish you a happy November as well. 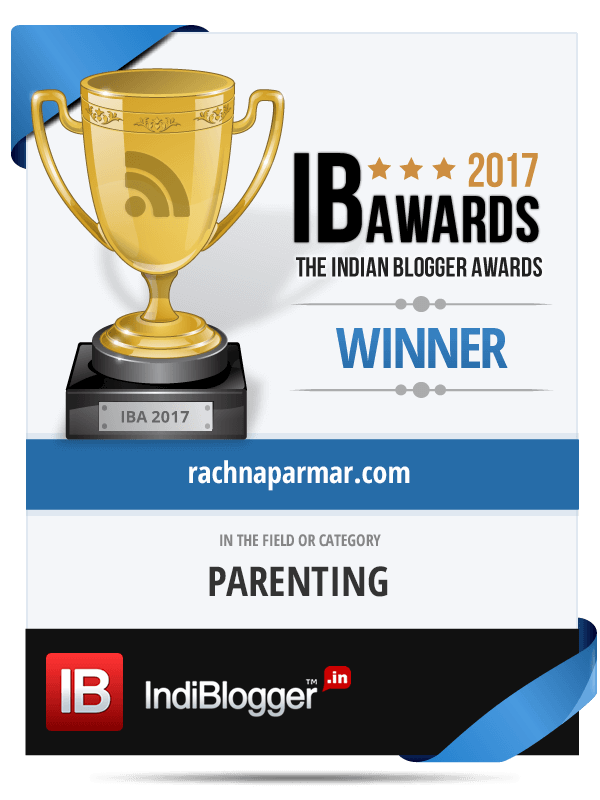 First congratulations Rachna for being featured . U truly deserve it. It’s true that introspection is such a vital part of our lives and I feel it also helps me be grounded. Family another integral part of our lives, gives us so much joy in times of festivities. Glad ur festivity w mas amidst your loved ones. A well spent month. November is sure special with your birthday coming up. All the best and many more happy moments to you. Thanks so much, Ramya. I hope November is lovely for you as well. Your fitness updates always inspire me to keep going with my fitness journey as well. So, thank you for sharing. As far as time-management goes- that has always been a struggle for me, most times I manage to stay ahead, but there are times that I wonder if I have unrealistic expectations of myself, and whether I have put too much on my plate, and if I am ever going to get a handle on it. During those times of utter hopelessness, I seek refuge in Netflix. It gives me something else to think about, and helps me not worry so much. But then I guess everything is good only in moderation. And with Netflix I have really overdone it this year. So now on a break from it for some months. So happy for you about that mention in Femina. There’s so much to inspire in that post of yours. To begin with I like the way you’re letting go of your younger one as far as studies go – you know how I struggle with that. Then there’s your exercise routine – super inspiring! I find myself back to square one after about 10 days of going pretty well. Sigh! Oh and television eats up time like nothing else. Last month I got hooked onto GoT and because I was watching it on Hotstar, the fact that I could watch anytime, made it just worse. I binge watched till the last season and then promised I’d not get hooked on to anything again. I know I’ll break that promise soon enough! It’s sensible to set aside time for everything. Congrats on the feature. 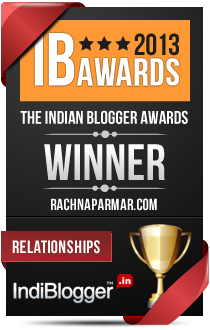 You deserve it Rachna. Like you, I am also focusing on my health and I recently read someone that we all die but I want to live every day until I die. Which is possible only if I stay healthy. So work outs are a part of life this side too. I am trying new forms at my center and they seem to be working well. Good to know about your son’s reading habit. Sounds great!